Chris Holland, a Project Manager in our South West team, played in the Wales Over 65s hockey team that won the Celtic Cup in Cork this bank holiday weekend. Wales and Ireland went into the final game with Wales needing to win (as Ireland had won both their games) so it was all to play for. Wales scored the winning goal in the fourth period of play. Chris has now been selected for Wales over 65s to play in the Home Nations Hockey in July. What an achievement! 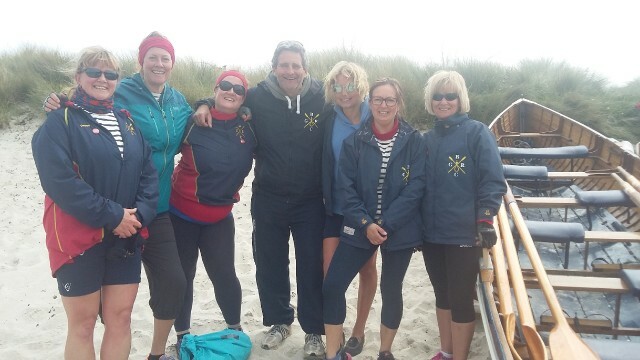 Meanwhile, Marketing Assistant Zoe Stansfield (pictured below, third from right) was competing in the annual World Pilot Gig Rowing Championships on the Isles of Scilly. jhai prides itself on championing a healthy work/ life balance, with plenty of time for hobbies and sports. From Iron Man contests (Steve Pratt, SAP Assessor) and triathlons (Crispin Henley, London Project Manager) to cycling challenges (Dave Hoskin, Energy Assessments Manager) our team certainly makes the most of life outside the office!